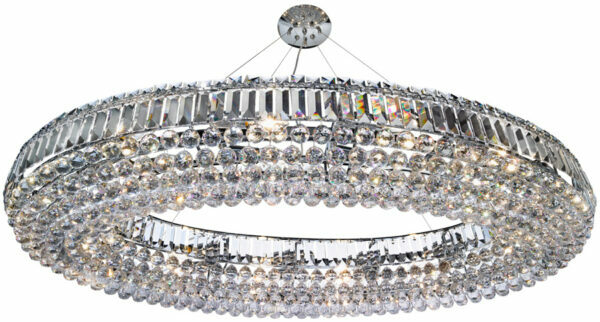 This Vesuvius chrome oval luxury 24 light large crystal chandelier with crystal coffin drops and faceted crystal balls makes an amazing impact in any room. 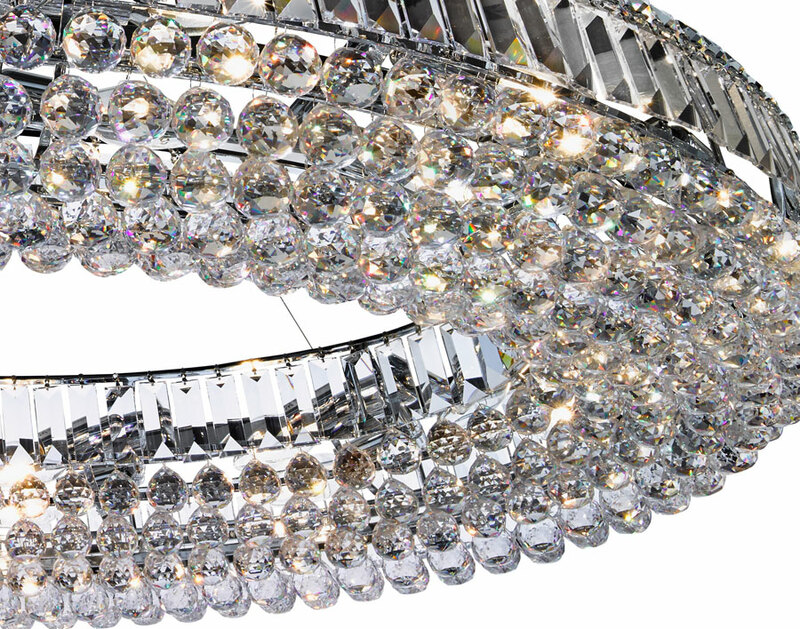 The majestic, contemporary chandelier is a real statement piece that features a decorative hollow ring of crystal coffin drops and balls, with twenty-four lights that make the entire piece sparkle when lit. A very large 123cm long, ultra modern crystal chandelier in a unique oval design, combining a large number of faceted crystal balls and high quality pendalogues. This stunning chrome framed centrepiece ceiling light would grace any contemporary home and is height adjustable at the time of fitting, please see technical information for dimensions. Please note that this fitting requires the crystals to be assembled on the frame and weighs in at 47.0 Kg.